Today was a long day….we started out with a walk to the highest point of Antananarivo which had some great views of Madagascar. In the afternoon we made our way to the city Zoo and checked out lots of cool animals there. 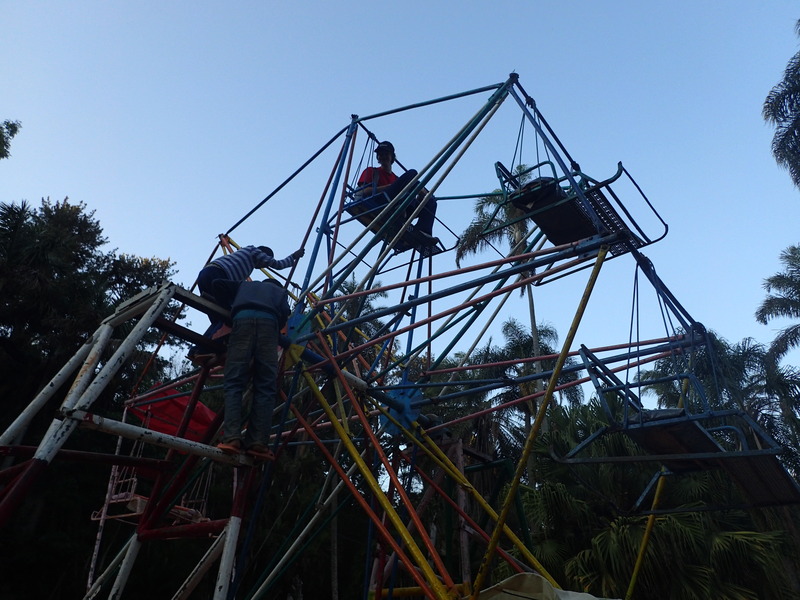 There was a makeshift ferris wheel at the Zoo that was turned manually….by a group of about five 10-year-olds running up and down to make it move (as well as charging a fee). It seemed extremely dangerous for them but extremely fun for me! Once I get to the ValBio research center, I should be able to upload a big file of pictures or a video. The hotel I’m currently in isn’t able to support that much internet usage. Here I am enjoying myself on the ferris wheel in the zoo!